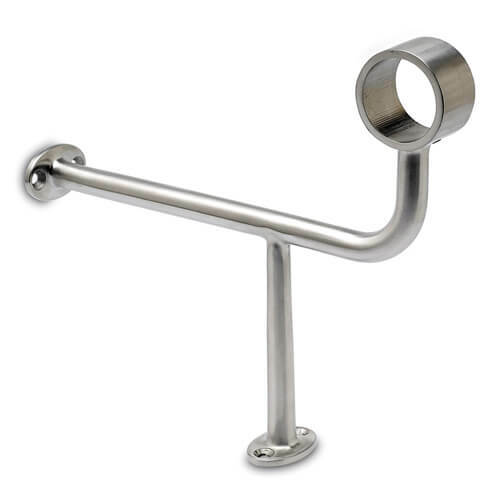 Bar foot rail bracket with a distinctive offset support design. 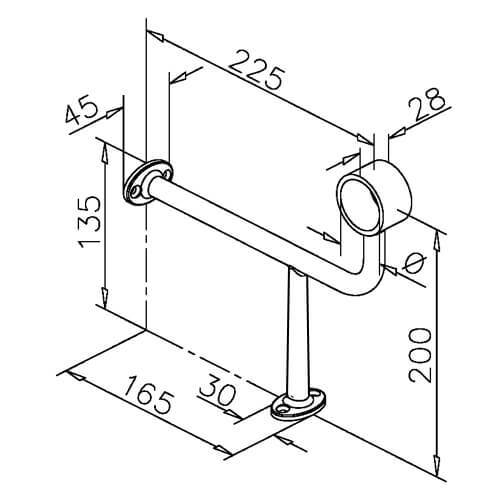 Combination style foot rail brackets are a popular choice, as the bracket is fixed to the floor and bar face offering a secure and strong fixing. Manufactured from 304 grade stainless steel with a superb brushed finish. Available for both 38.1mm and 50.8mm diameter stainless steel tube.